The McHenry County Illinois Lawyer - Lawrence E. Rafferty, Esq. 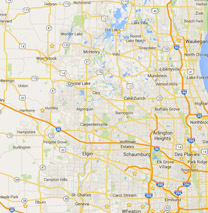 Need legal help in the McHenry County, IL, or greater Chicagoland area? The Law Office of Lawrence E. Rafferty can help. Lawrence E. Rafferty has over 36 years of legal experience to draw upon in assisting you with your legal issue. He maintains a General Law Practice with an emphasis on Estate Planning and Probate, Commercial and Residential Real Estate, Corporations and LLC’s, including formation and buying and selling of businesses, and Landlord and Tenant disputes, all right here in McHenry County, IL. The Law Offices of Lawrence E. Rafferty is a General practice and can help you with many of your legal issues and problems. With 30 years of legal experience to draw upon, Mr. Rafferty is able to determine what is the proper course of action for you to take. Our office has the answers to all your legal questions. Whatever your legal need, the Law Offices of Lawrence E. Rafferty are here to help. Click below to contact the McHenry County Laywer. I'm happy to learn more about your legal needs - please don't hesitate to reach out. © 2019 Law Office of Lawrence E. Rafferty. All rights reserved.